It only has a single speaker, but it’s loud, clear, has a 15-hour battery life, microSD card reader, FM radio, Bluetooth connectivity, and auxiliary 3.5mm input jack for analog audio sources. In order to listen to my music on the go, I just grabbed a 16GB SanDisk Ultra microSD card, and a Transcend USB3 SD card reader. 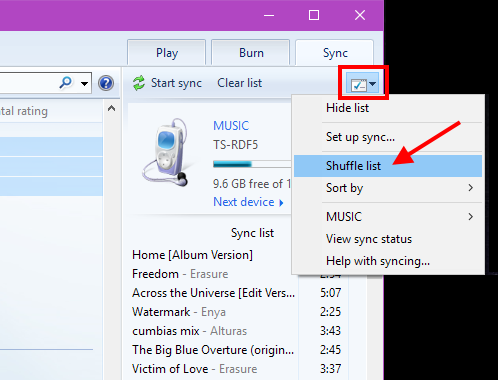 Then, I use Windows Media Player to sync a huge playlist of MP3s onto the SD card. Stick that in the SoundCube, fire it up, and I’m off and running… Sort of. It’s not easy to make this guy shuffle MP3 files. 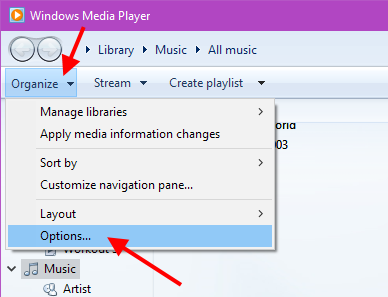 By default, Windows Media Player (WMP) syncs my MP3s onto the SD card in named folders. That’s no good, because it means the SoundCube will play all songs, in order, by each artist. BO-RING! So, the first thing you’ll need to do is change your Sync settings in WMP. 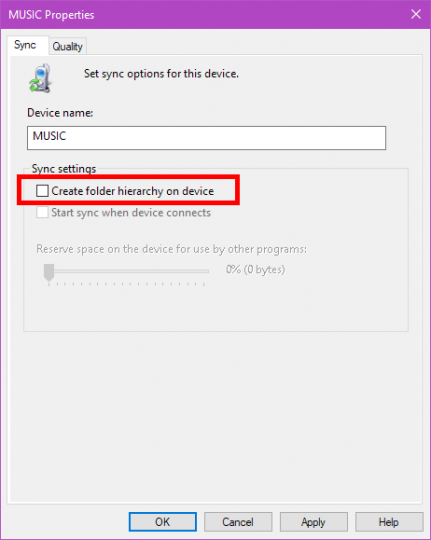 Okay, now UNcheck the box Create folder hierarchy on device. That takes care of that. Now, WMP will write all your MP3 files in the root of the SD card – no more folders! Okay, so no more folders… But your files will still be played essentially in order. No shuffling yet! So, the next thing you’ll want to do is use the shuffle feature of WMP. 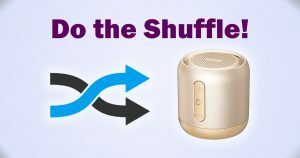 Try again to play the music from your microSD card in the SoundCube, and you’ll discover that it pretty much ignores the shuffledness. The next step is to open Explorer and look at your microSD card. You should see a bunch of MP3 files, and they should look relatively shuffled. You’re almost done. Finally, download the program File Order Randomizer, which you can also grab here in case it disappears. 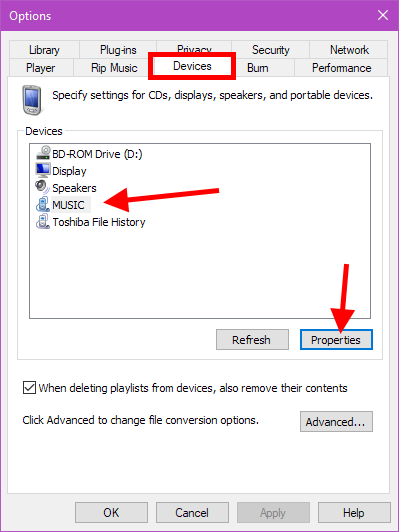 Run the program, point it to your microSD card, change the Digits for random number so it’s high enough for the total number of MP3s you have, and then click the Put random number at beginning of every file name button. 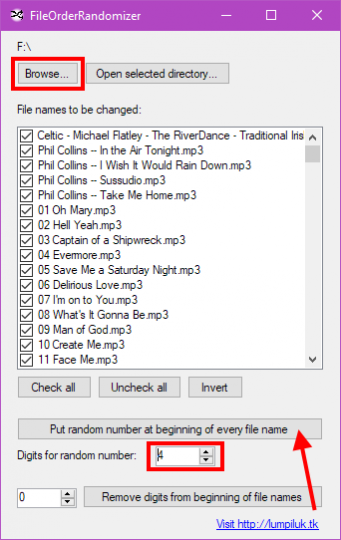 The File Order Randomizer adds a random number at the beginning of every file. Stick your microSD card back in your non-shuffling player, and BOOYAH: Shuffled MP3s on your device that doesn’t have a Shuffle Mode!